Now that Allegiant, the penultimate entry in the Divergent series, has hit theaters, I think it’s safe to assume Hollywood will put the kibosh on adapting young adult fiction to the big screen, at least for now. Amidst the latest installments of The Hunger Games and The Maze Runner falling short of expectations, audiences seem less interested in the genre overall, which makes Allegiant a victim of bad timing. However, it’s also a victim of bad storytelling, because it continues the trend started by the first two films - Divergent and Insurgent - whereby it merely positions itself into a pre-existing mold and makes little or no attempt to break free from it. Unless you’re a completist like myself, there’s really nothing to see here. If you happen to be a faithful follower of these movies, or have read Veronica Roth’s trilogy, then you know it’s about a group of young, attractive rebels in a futuristic, dystopian Chicago, led by the plucky Tris (Shailene Woodley). They’re on a mission to go beyond the city walls, which have, hitherto now, barricaded them inside a heavily controlled and monitored society in which the ruling council has divided the citizenry up into docile factions. 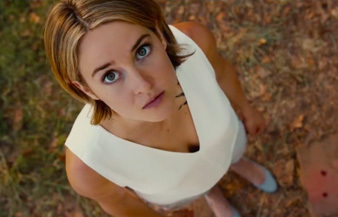 Tris, however, didn’t fall into any one category and thus earned the label “divergent.” She ignited a resistance against the oligarchical government and now, along with her love interest, Four (Theo James), brother Caleb (Ansel Elgort), and fellow insubordinates, Christina (Zoë Kravitz) and Peter (Miles Teller), is on a quest to find the truth, take down the government, and guarantee freedom for all, and so on and so forth (this seems to be the default trajectory for stories of this nature).